A weekend of ethnic violence on the outskirts of Ethiopian capital Addis Ababa left several dead and hundreds displaced, police and officials said. According to local media, a well-organized and ruthless gang prey on residents with knives, stones or iron bars in Ashewa Meda, Burayu, Anfo, Keta and Asko areas of Oromia region. The attacks were carried out on Friday and Saturday nights, and according to many accounts had an ethnic and criminal trend, Oromo youths targeting minority Dorze, Gamo, and Wolaita ethnic groups. The Head of the Oromia Police Commission Alemayehu Ejigu told the state broadcaster ETV on Sunday that 70 suspects have been arrested but he did not explain why the clashes broke out. The recently released leader of Ethiopian Muslim community, Ahmedin Jebel wrote on his Facebook page, citing some witnesses, that the violence started with a skirmish between the local Oromo and Dorze tribes, which led to the death of two Oromo women. Ethiopia’s reformist Prime Minister Abiy Ahmed, who is in Saudi Arabia to attend a summit with the Eritrean leader Isaias Afwerki, condemned the clashes, which also forced hundreds to flee their homes. 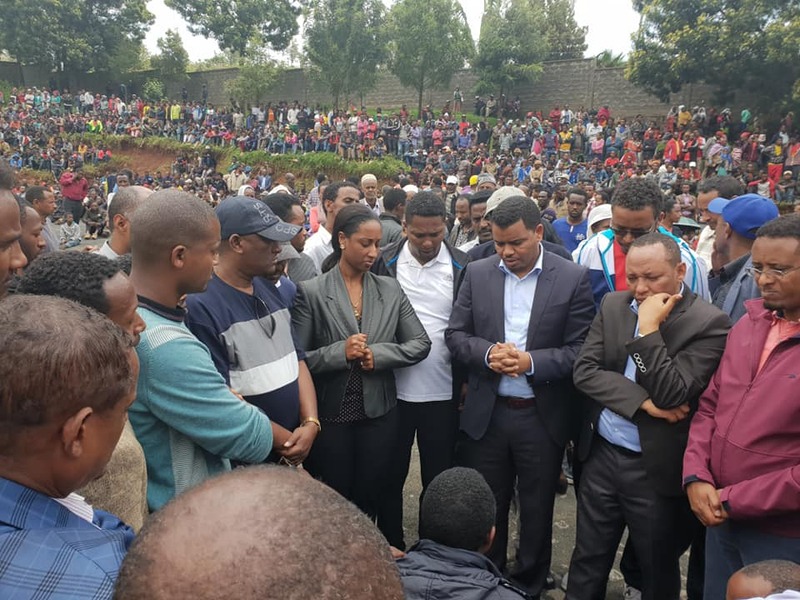 Reports by the Addis Standard newspaper said the army had been deployed to deal with the situation, which is said to have birthed a fresh humanitarian crisis. The weekend violence follows tension in the capital after youths from Oromia marched into the city with flags representing the Oromo movement last week. The inter-ethnic violence in southern Ethiopia since June has forced more than 800,000 people to flee their homes, according to the United Nations. Posted by Steven Addamah on September 17, 2018. Filed under Zoom. You can follow any responses to this entry through the RSS 2.0. Both comments and pings are currently closed.